Blackpool-based cinematic rock band blanket are pleased to reveal the video for their new single ‘This Moment Right Here’, the latest track to be taken from their debut album, How To Let Go, out now via Music For Nations. 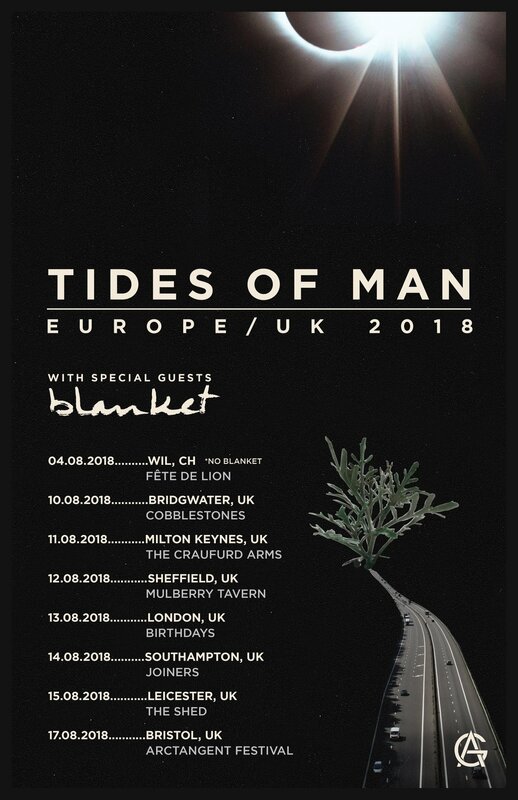 The new single comes ahead of an appearance at this year’s ArcTanGent Festival and a run of August 2018 UK tour dates supporting Florida instrumental rock band Tides of Man, with the band also recently nominated in the Limelight category for best newcomers in PROG Magazine’s Progressive Music Awards 2018. Shot on location at a warehouse unit, the band cleared the space out and covered the walls in white sheets so they could showcase their fast-becoming-trademark live performance projections and impressive visuals on all four walls, showing animations from the record artwork. Commenting on the song, the band said: “This Moment Right Here touches on many of the overarching themes throughout the album as a whole: coming to terms with our own insignificance, addressing the self-made demons within us and feeling apart from the world around us. Releasing their debut album How To Let Go earlier this year, the album’s lead single ‘Worlds Collide’ was added to the Spotify New Music Friday playlist, and has received airplay from Alex Baker at Kerrang! Radio and Daniel P Carter at the BBCR1 Rock Show. Support for the band has been steadily building at the likes of The Independent, PROG Magazine, Classic Rock, UPSET, Louder and Kerrang! Magazine.